This is a guest post by Megan Eckman of Studio MME. She’s writing about how to stay in love with your business this month on Epheriell Designs. You can read post 1 here, and post 2 here. It may seem counter-intuitive but during this extremely busy time of the year, it’s more important than ever to schedule a little vacation time for yourself each week. Working 17-hour days for weeks on end and running round like a mad woman doesn’t do your customer OR yourself any good. You know how cranky you get with little sleep and high stress. You know how hard it is to survive craft fairs if you’ve gone weeks on full-steam-ahead mode. To be at your best, to sell like a pro, to make this holiday season profitable AND enjoyable, you need to schedule yourself a few mini vacations during these next couple of weeks. Now, you may say that you don’t have time to take a vacation right now but I’m not saying to take a week off and drive cross-country. You can take a mini vacation in one hour (or maybe two hours if you want to go all out)! Unplug from your computer and leave the house. Take a walk in the park, visit the library, or just stroll around a college campus. Pick a place that doesn’t have giant crowds of crazy shoppers to ensure you don’t get too over-stimulated by desperate mums looking for a certain toy. Go to a museum and soak in the inspiration. Grab a for-fun book and go to the local coffee shop for a good read. Jump in the car one night and take a holiday light tour with your family. Make some hot cocoa and drive out of the city to watch the stars. 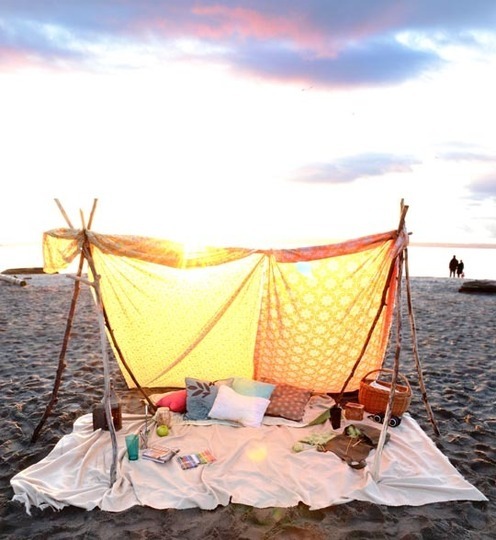 Set up your tent (or make a fort with sheets and cushions) in your living room and have a fake camping trip. Get creative! Your mini vacations don’t have to last more than an hour but that time away from your computer and the stress of packing orders will give you a chance to calm down and enjoy the season. When you spend all day, every day staring at the screen praying for orders to come in (or to stop coming in), your stress levels go through the roof. You’ll send more joy and calm out into the world if you yourself are calm. Plus, you’ll have fewer sleepless nights if you aren’t constantly worrying about how you’ll survive the next day. Instead you’ll have sweet dreams anticipating your next mini vacation. Have other ideas for a mini vacation? I’d love to hear them! I still have a few of my own to plan. Megan Eckman is the community coordinator forCreateHype.com, a site that helps female entrepreneurs learn how to market their creative business. 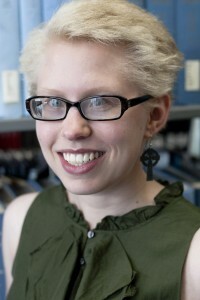 She’s also the illustrator behind Studio MME on a mission to rekindle wonder and ignite imaginations around the world.